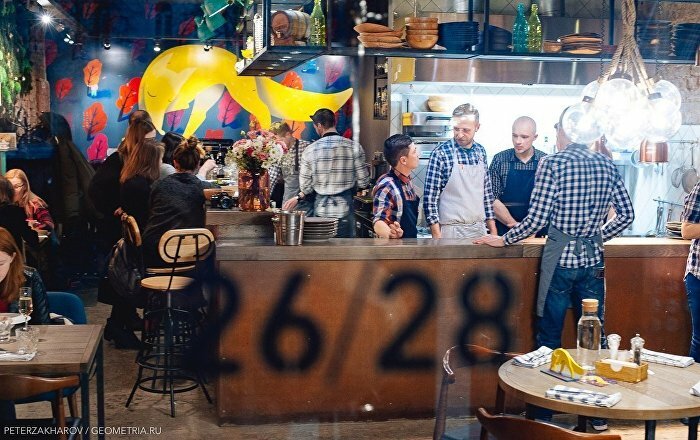 Bear meat, pike and the quintessential Russian dumplings stuffed with a kaleidoscopic variety of fillings, are just a few of the things which will be on the menus of restaurants in the capital of the Urals. Local legend has it that Ekaterinburg has been listed in the Guinness Book of Records as the city of mayonnaise lovers. Of course, this is nothing more than a myth, although fast food outlets often go too far, adding mayonnaise indiscriminately to just about any food they have on offer. This restaurant doesn't really have an address since it's located in the arch between buildings 26 and 28, on old paving stones laid in 1905. Inside the restaurant there are moss-covered peeling brick walls. This is believed to be the city's first building. At one time it accommodated the administration of Siberian and Kazan-based industrialists. The restaurant has a huge takeaway menu, which includes grilled food. 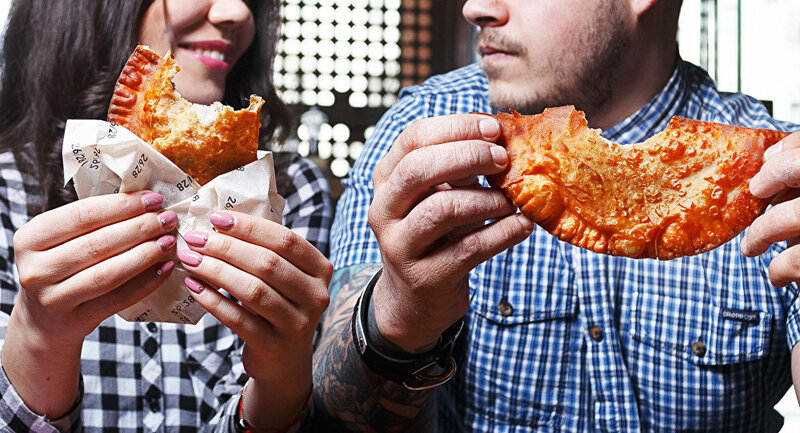 There's something for every taste, from chebureks (fried meat pasties) to chicken wraps, steaks and calf cheeks. The diners can watch the food being prepared. 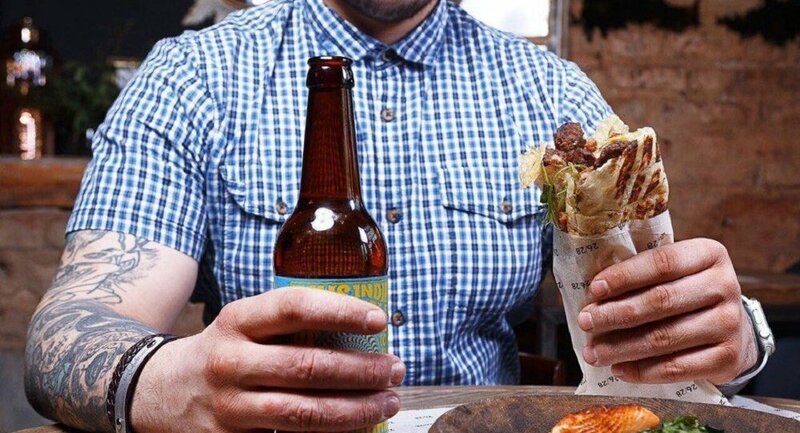 To add to all this football fans will be able to choose from a whole variety of craft beer. 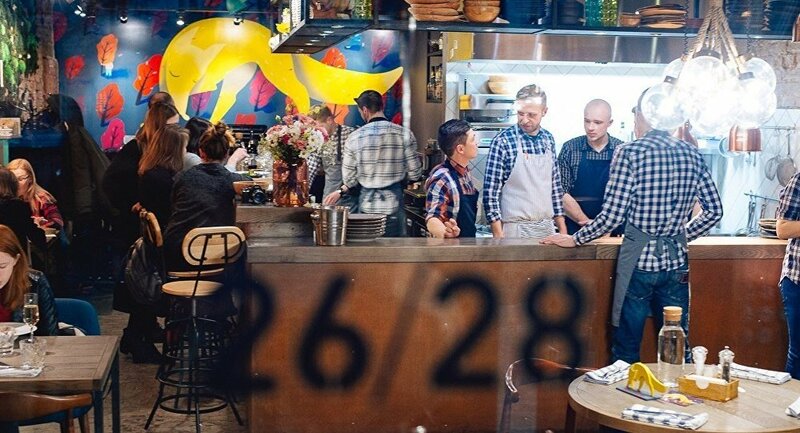 The restaurant's most popular takeaway is "double chebureks" and the 26/28 signature burgers. Juicy beef patties are grilled and served in fluffy potato buns with tomatoes and lettuce. To make them even tastier and juicier Dorblu or Cheddar cheese can be added together with gherkins and onion rings. Another hit to sample at Grill is calf cheeks. This dish takes three days to prepare: first the cheeks are slowly stewed at low temperature and then roasted in their own juices with spices until they are very tender. 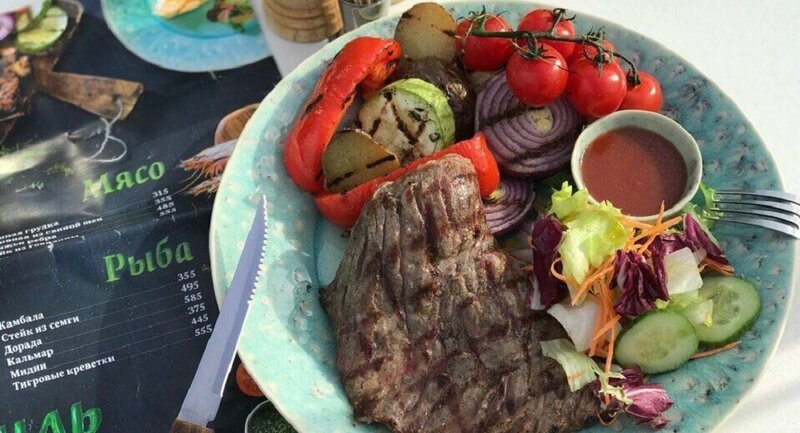 The meat is served with new potatoes roasted with garlic and herbs, and grilled vegetables. 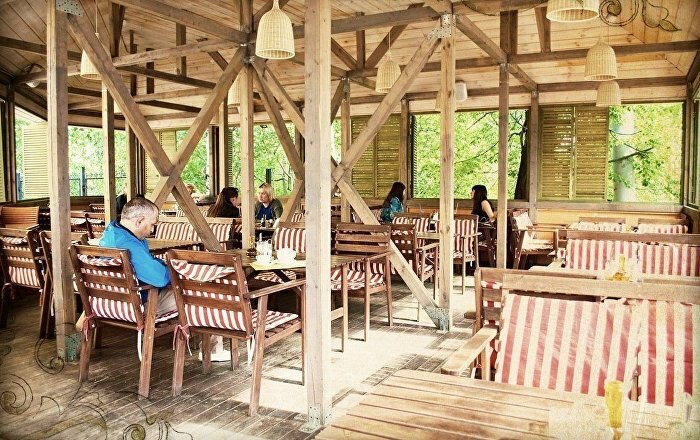 There is a two-story burger house in downtown Ekaterinburg, near its main promenade Plotinka. 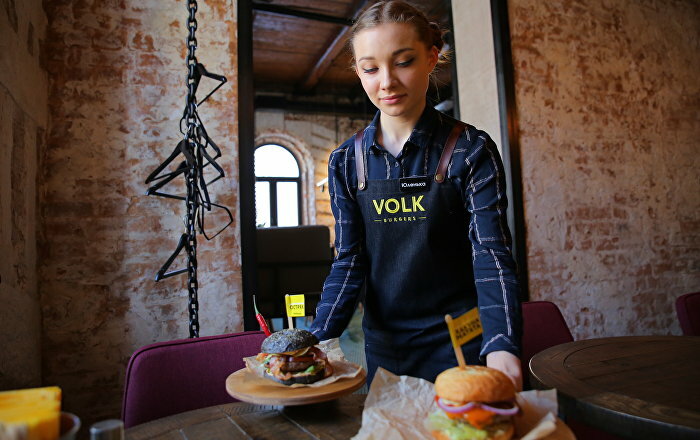 The name of the burger house has a double meaning: volk means wolf in Russian, and the idea was to attract people who are as hungry as a wolf. Another association is with a wolf pack, which is a symbol of true friendship. 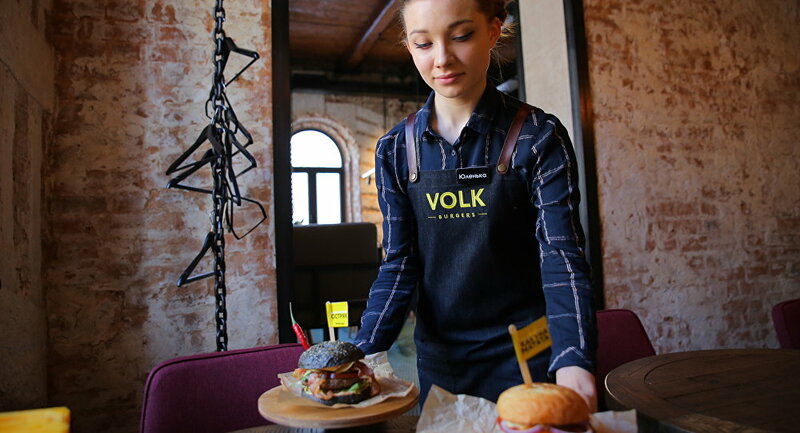 Alternatively, the name can be interpreted to mean "people's burgers," from the German word volk (people). The choice of burgers is remarkable. Some may hide a red chili inside the bun and contain jalapeno peppers. Warning: very hot! Another option is Hakuna Matata burgers, which are not as hot. These are made out of marbled beef and come with pineapple, red peppers, red onions plus Cheddar cheese. Cheese lovers will enjoy Italian burgers served with three types of cheese and pesto. Shrimp or chicken burgers and mozzarella burgers are on offer for anyone who doesn't have an appetite like a wolf or doesn't eat meat at all. Ahead of the 2018 FIFA World Cup there will be regular raffles at the restaurant and the prizes will be football tickets. 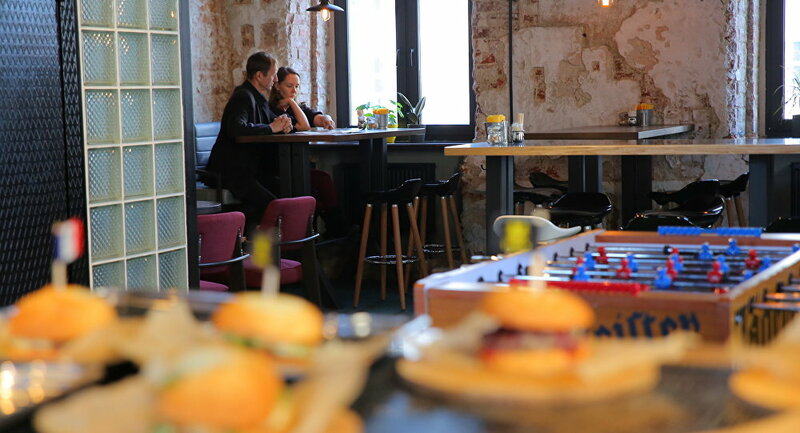 Those who don't win tickets to Ekaterinburg Arena will be offered the chance to watch football matches live while eating at the restaurant. 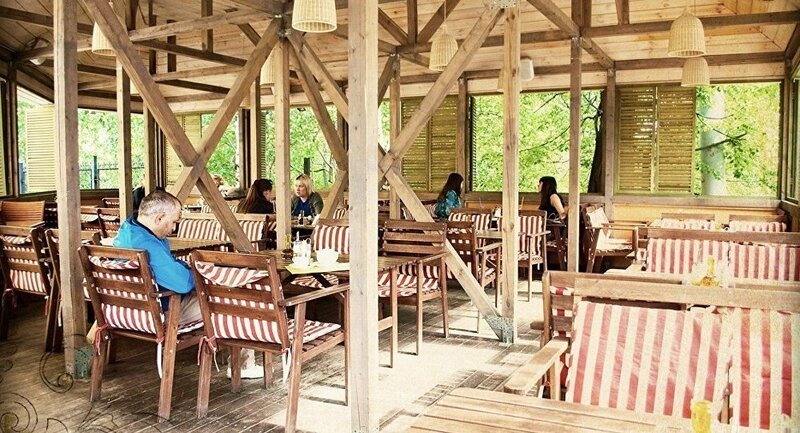 An Italian restaurant with two floors stands in the middle of the arboretum in the center of the city. It has two roof terraces: one is open and the other is covered. Here you can start the day with a light breakfast or just a cup of coffee on the large terrace and quietly relax in the shade before going off to a football match. After the game is over, football fans can meet here over dinner. Big tables are available and because the restaurant is open round the clock nobody needs to be in a hurry. As Donna Olivia specializes in Italian cuisine, you can start your meal with a plate of salami and other cold cuts or a variety of Italian style antipasti like Caprese salad, bruschetta served with chicken liver pate, grissini with prosciutto, arancini (traditional Sicilian stuffed rice balls coated with breadcrumbs filled with fragrant fresh herbs and mozzarella) and root vegetable chips. 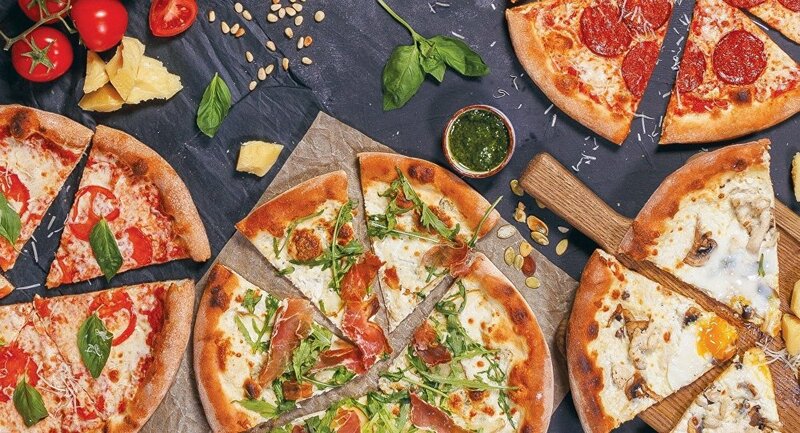 Pizza is made using specially selected European wheat. The tomato sauce is produced in Italy from summer harvested fresh tomatoes. The restaurant's owners recommend sampling a pizza topped with stewed veal, sweet onions and a cream sauce or a calzone with a chicken fillet, tomato and potato filling. 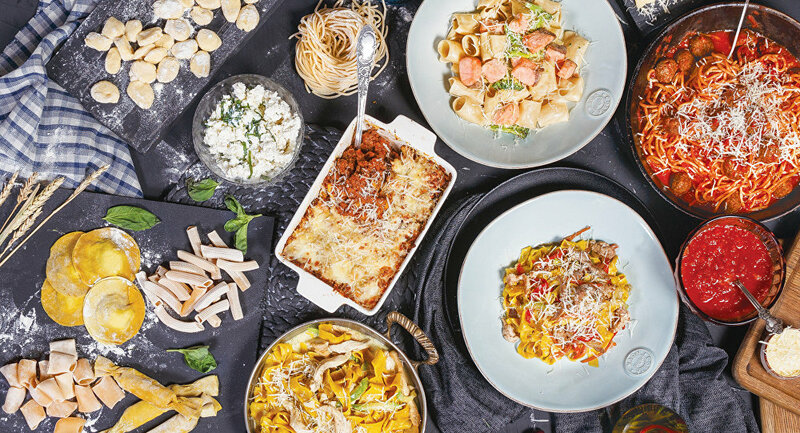 The restaurant also serves some classic pasta dishes with meat balls in a tomato sauce and lasagna, a favorite with many clients. Tender fried chicken thighs served with roast vegetables are on the menu too as well as mouthwatering stewed lamb served with mashed potatoes and fresh rocket. Grilled meat lovers might want to try a classic Italian saltimbocca with chicken instead of the usual veal marinated with sage and then wrapped in bacon instead of prosciutto and pan-fried.